All the sectoral indices are trading in green led by IT Index, which is up over 2 per cent. 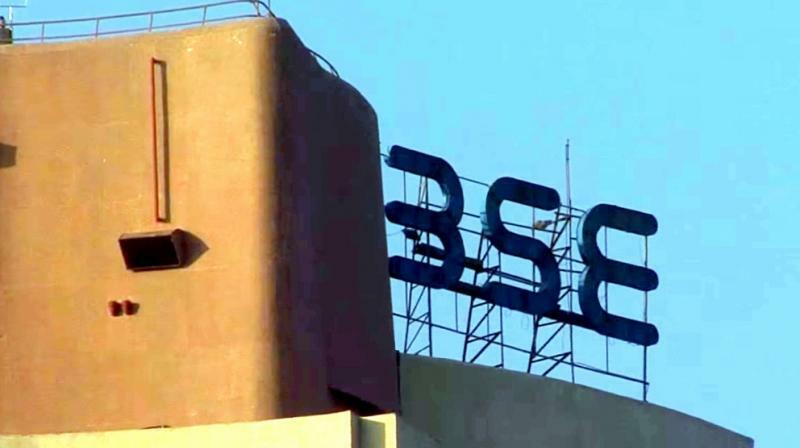 Mumbai: The BSE benchmark Sensex rallied over 358 points on Wednesday while the NSE Nifty recaptured the key 11,000 mark as investors wagered on the RBI changing its policy stance to neutral. Investor sentiment was bullish ahead of the Reserve Bank of India's policy outcome, scheduled for Thursday, analysts said. The RBI's Monetary Policy Committee (MPC) began its three-day meet Tuesday to decide on key rates. According to experts, the MPC is likely to change its policy stance to 'neutral' from the current 'calibrated tightening' on low inflation footprint but would refrain from cutting interest rates due to fiscal challenges and rising crude oil prices. RBI will have room to provide a dovish tilt to the upcoming policy along with a change in stance, a Kotak report said. In the Sensex pack, Bajaj Finance, Tata Steel, ONGC, Bajaj Auto, Sun Pharma, NPTC, Coal India, Maruti, Tata Motors, ICICI Bank and Reliance surged up to 4.34 per cent. On the other hand, Axis Bank and IndusInd Bank fell up to 0.54 per cent. Broader indices, however, ended on a mixed note, with the BSE LargeCap rallying 1.13 per cent, BSE MidCap slipping 0.12 per cent and BSE SmallCap inching up 0.05 per cent. Sectorally, banking, pharma, metal and IT stocks led the rally, jumping over 2 per cent. Sustained buying by domestic and foreign institutional investors also boosted trading sentiment, traders said. On a net basis, foreign portfolio investors (FPIs) bought shares worth a net of Rs 420.65 crore on Tuesday, and domestic institutional investors (DIIs) were net buyers to the tune of Rs 194.31 crore, provisional data available with BSE showed. Elsewhere in Asia, Japan's Nikkei rose 0.14 per cent. Bourses in China and Korea remained closed for the Lunar New Year holidays. The rupee, meanwhile, depreciated 5 paise against the US dollar to 71.62 intra-day. The benchmark Brent crude futures fell 0.76 per cent to USD 61.51 per barrel.